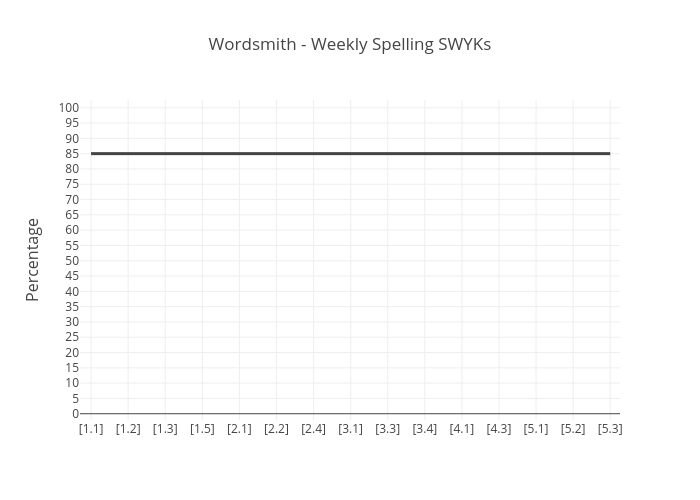 Room430's interactive graph and data of "Wordsmith - Weekly Spelling SWYKs" is a line chart, showing C vs B; with in the x-axis and Percentage in the y-axis.. The x-axis shows values from -0.32759079715333783 to 24.29221422882399. The y-axis shows values from -2.0517006802720914 to 102.52924374428135.